Pat Hunting Trends: Pure Design Fair. Part 1, Buenos Aires. Every year I visit the Pure Design Fair in Buenos Aires where I meet some of the most prominent representatives of Argentinean design. The entrance was spectacular and I felt the sensation to know more. The illuminous beauty at the entrance (see picture below) captivated me but I felt dissapointed that this theme was not continued throughout the fair. My chosen brands are shown below,I highlight these in particular for their continuity in developing products designs with sustainability in mind. 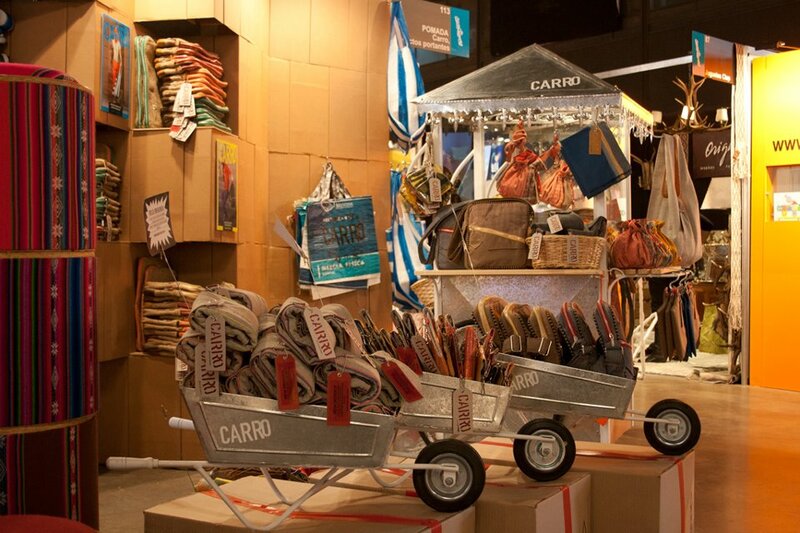 Carro, the Argentinean accesories brand, which worked in partnership with Pomada Group during the event, designed products that followed sustanaible methods. They created an exhibition space for the support and demonstration of their design creations. The exhibition stand was made ​​from recycled cardboard and Pomada then reused the cardboard in a productive way and thus performed its objective regarding sustainable development and production. 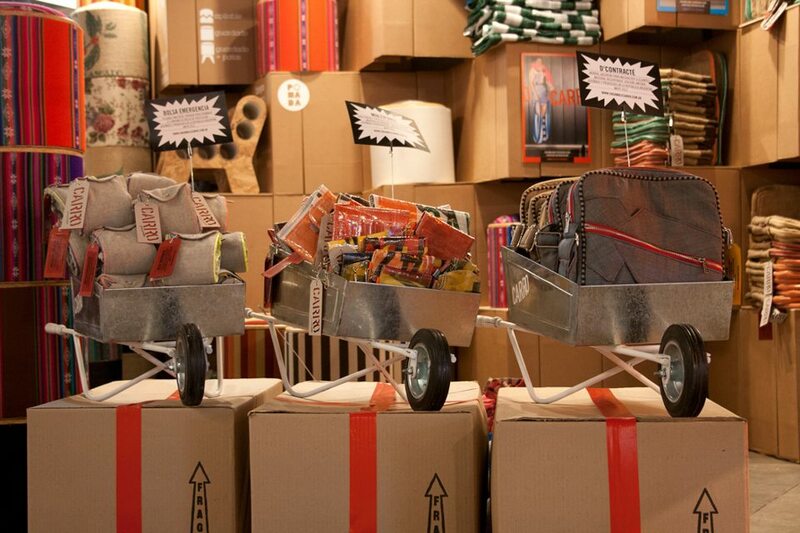 This project obtained commercialized products that had value-added because they were made from discarded materials.